Remodeled home with contemporary modern design! #BR/2.5BA with tons of updates. Open concept, office, floating vanities, dry bar, energy efficient fireplace, Bluetooth compatible garage lights, too many updates to list. New everything! 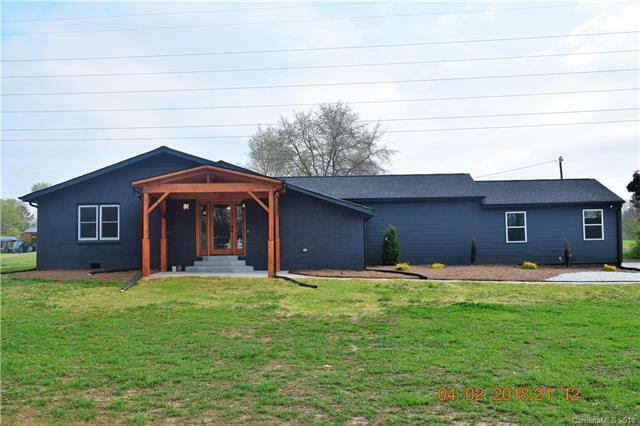 HVAC, bathrooms, appliances, roof, fresh paint, wood laminate flooring, 36 in commercial grape gas range, efficiency fireplace, large foyer, ceiling fan on front porch, landscaped yard, nearly 1 acre of land. Located between Shelby and Fallston.